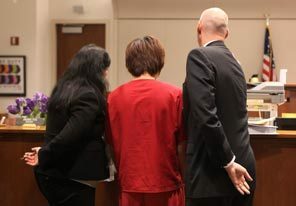 A 19-year-old foreign exchange student from China who attended Puget sound community college pleaded guilty on Tuesday, February 25 to his role in a high-speed crash that killed a woman and injured several others. According to court documents, prosecutors charged 19-year-old Yichun Xu with vehicular homicide and three counts of reckless endangerment after he ran a stop sign and crashed into a car driven by 25-year-old Brenda Gomez-Zapata on November 10, 2012. Gomez-Zapata suffered a severe brain injury in the crash and later died from complications related to that injury. Xu was allegedly driving his brand-new Mercedes-Benz along 20th Avenue South in Des Moines and crashed into Gomez-Zapata's vehicle after failing to stop at a stop sign. Gomez-Zapata and three other people, including a passenger in Xu's car, were seriously injured in the crash and taken to local hospitals to be treated for their injuries. As a result of his guilty plea, Xu was sentenced to 17 ½ years with his bail set at 20 million. Xu reportedly pleaded guilty to vehicular homicide and three counts of reckless endangerment for the crash. Xu has lived in the US for two months and is living with a host family in Olympia. He was driving to a relative’s birthday at the time of the car accident and reportedly had four passengers in his car at the time of the crash. 18-year-old Xinran Zhao suffered a head injury and was treated at Highline Hospital, according to court documents. Witneses testified that Xu was driving his Mercedes at approximately 70 mph when he ran a stop sign at the intersection of South 240th Street and 20th Avenue South. After Xu was arrested following the collision, the police found no identification in his wallet but did find $542 cash. Court documents show that Xu did not have a valid driver's license and had never driven in the United States before entering the country just a couple of months before the crash occurred. Police said Xu "requested several times that in lieu of being booked into jail, he requested to bail out right away." It's never a good idea to jump to conclusions about the mindset or attitude of someone involved in a situation like this, but the facts in this particular case - such as the boy's mother posting the $2 million bail in full with a cashier's check - tend to suggest that the teenager comes from an affluent background. Since there are no indications that the boy and his friends were under the influence of any alcohol or drugs at the time, the fact that he was driving a brand-new Mercedes at speeds of up to 70 mph in a residential area suggests that he was simply joyriding at the time. Being that the 19-year-old had no experience driving in the United States and had just been handed a brand-new luxury car, it's not necessarily a surprise that something devastating came as a result. Xu was set with a $2 million bail because police believed he was a flight risk. He was later released from King County Jail in March due to his mother paying his bail with a cashier’s check, which police noted was unusual because the bail was set at such a high amount.